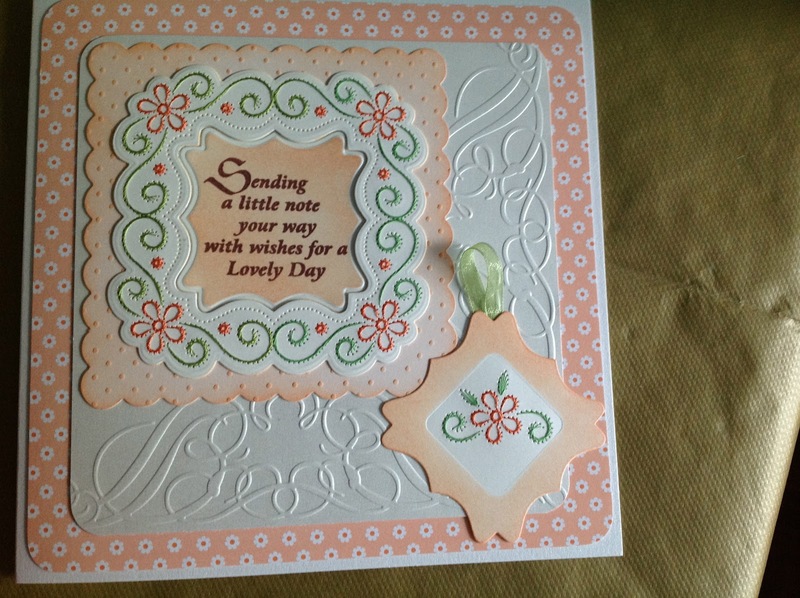 Here you will see I have used the pattern die which I used in one of my previous blogs, titled 'Shoe Mouse'. I stitched the pattern with an orange/peach colour thread for the flower and green for the swirls to make them look like vines. 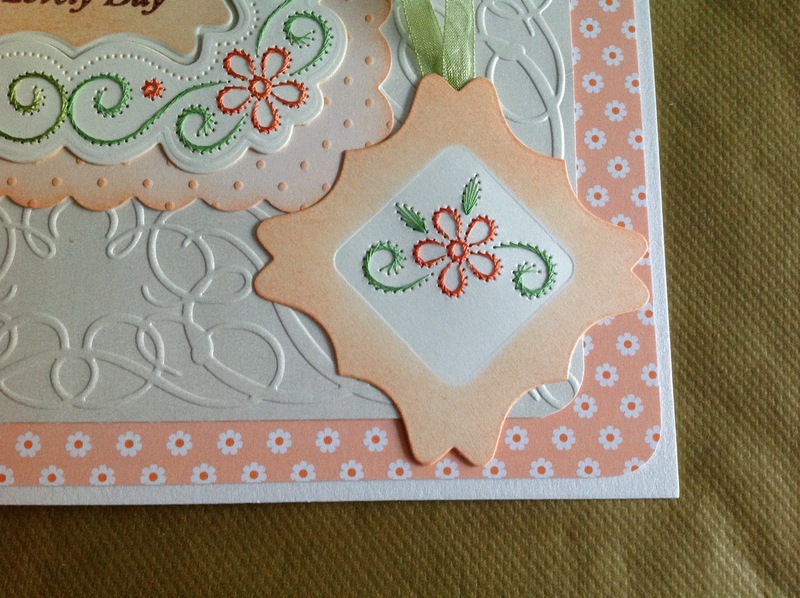 I used some peach colour patterned paper from my stash, this has lots of little flowers and I thought went with the stitched pattern. 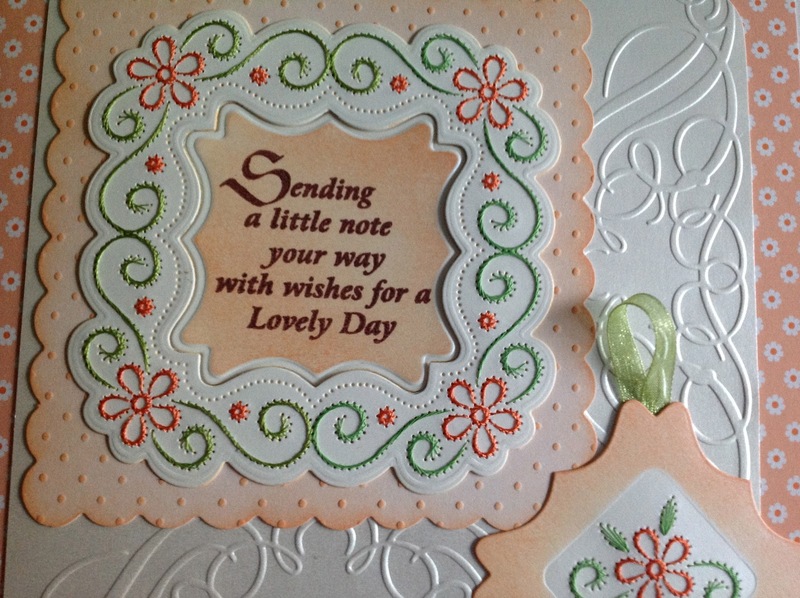 I embossed some white pearlised card with swirls and left this white, then embossed another card with little dots and coloured this using distressing ink, and I mounted the stitched pattern on the top of all three. 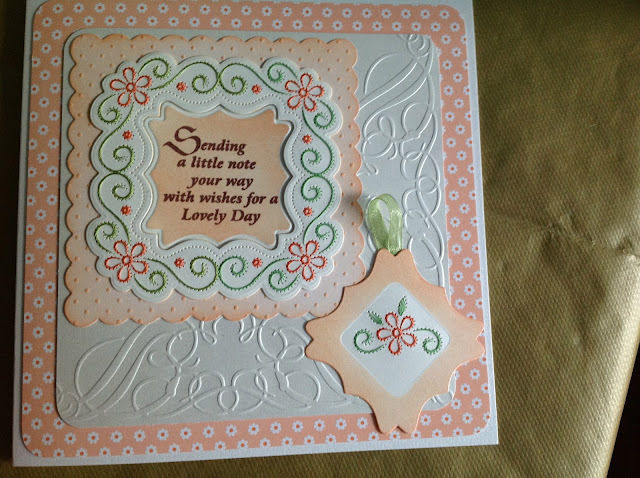 I stamped a sentiment (which is from Clarity Stamps), in the middle and used distressing ink to colour the back ground. I think it goes well together. Hope you think so too.